Complete your casual look with this statement coral bag made from faux leather. 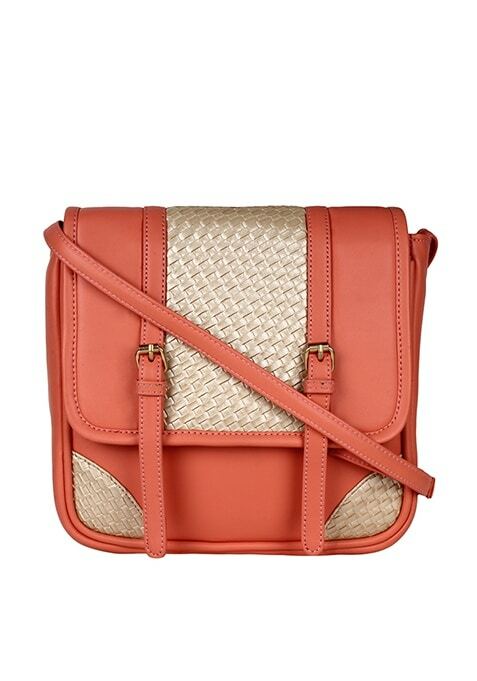 Features a beige weave detail, front flap closure and easy to carry shoulder strap. Work It - Looks stylish with almost all your outfits. Material - Faux Leather Front flap press stud closure Adjustable shoulder strap Gold tone hardware Dimension: 8.5"X2"X8.5"